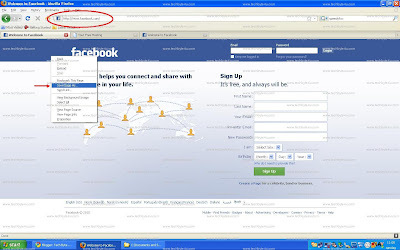 last week a person requested here to explain how to make a fake login page of Facebook.. So i am giving a lesson here about making fake page of Facebook. Note: Hacking is a crime. Dont use this tutorial to hack innocent people. I am teaching it for educational purpose only. I will not be responsible for any damage done by you. First i recommend you all to read my previous article on phishing page "How to make a Fake login page manually" coz here in this post i m not gonna explain all things as i hv done it before. 2. index.html which is a fake html page similar to original Page of Facebook. Code Updated: By mistake i hv missed one line in php file, i hv add that line now. Sorry for inconvenience. and then press ctrl +F and search for action... and you will find a line as shown in screenshot. tag and method="post" something like that. 2.3. Now replace the url written after action with the name of your php file created in step 1. Now you have to upload all the 3 mentioned files on a free hosting account. Here i m explaining file uploading on http://www.yourfreehosting.net/. 1. first of all sign up for a free hosting Account. 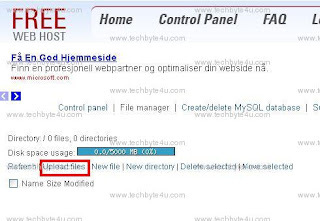 Note: yourfreehosting.net is now not available for free, you can create account on http://www.000webhost.com/473091.html .To know how to create account there, check post "How to create a FREE webhosting Account"
2. After creating Account, login there, then go to control pannel> File Manager. 3. Now remove the preexisting index.html file. 5. 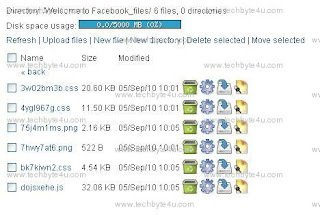 Now click on New directory to make a new folder there and name it "Welcome to Facebook_files"
and then upload all the files(css,js, photos) of folder Welcome to Facebook_files,which was downloaded with facebook page in step 2. 7. Now give url of ur index page to ur friends, as soon as they will login through ur created fake page,a new log.txt file will be created and their password will be saved in that file. 1. Which URL you have to give to your friends or anyone else. Here, you see the URL is up there as i mentioned earlier. Also if you press OPEN, given in front of ur index.html file, then a new page will be open, having the url you need in the URL bar. 2. Photos are not appearing on your Fake page? Answer: It happens because to detect a phishing page, web hosting sites are tracing the name of folders you are uploading, if they found same name as Facebook or any other site, then they dont let you make that folder/ or just block access of files from that folder. So if you just rename the directory uploaded in step 5, they their system will not recognize it. And after renaming you need to edit the index.html file and give this new name every where in file where you found old name. 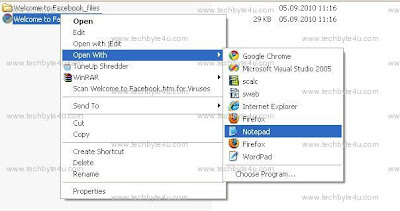 You can do it simply by opening the index.html file with notepad and replace the old directory name with the new name everywhere in the file. 3. log.txt file is not generating/ log.txt file is not saving passwords. Answer: You should check all steps carefully, this is not a problem if you do every thing correctly. 4. When i open my fake page's url, iget this error. http://error404.000webhost.com/?